Crafted with intricate detail, this round wall mirror stands out as a decorative feature. An antique gold finish welcomes a grand quality to this round wall mirror from the Cooper Classics Lana Mirror collection. A metal frame ensures proper strength to enhance the design. 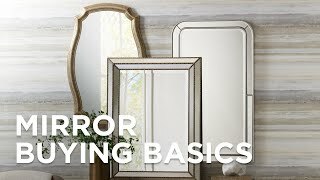 For convenience, this mirror can be installed vertically or horizontally. 31 1/2" wide x 31 1/2" high x 1" deep. Hang weight is 10 lbs. Glass only section is 19" wide x 19" high x 1/4" deep. Round wall mirror from the Cooper Classics Lana Mirror collection. Antique gold finish. Metal frame construction.